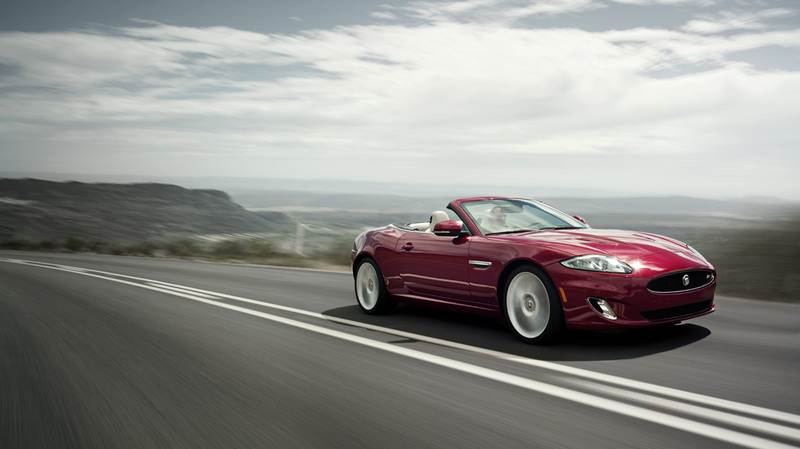 • Dramatic front and rear styling gives the XK a dynamic new appearance. • New intelligent LED technology incorporated into slimmer headlamps. 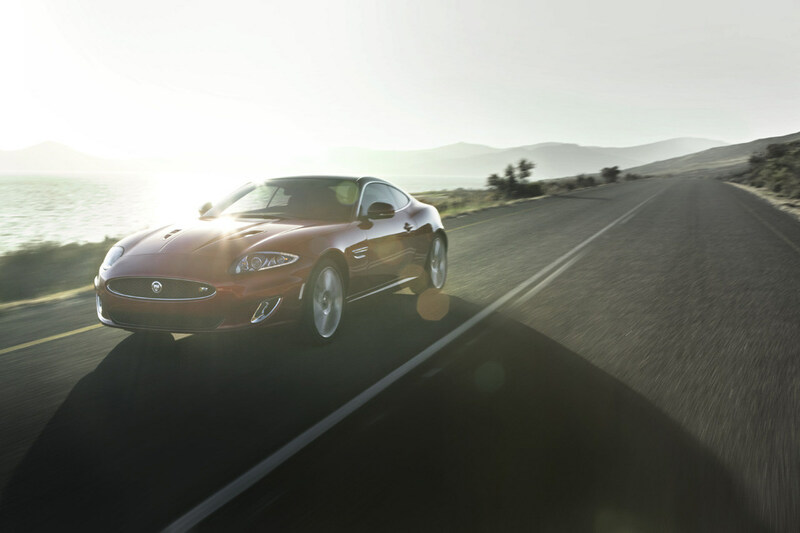 • New XKR-S model is the ultimate expression of Jaguar’s GT duality: intelligent performance with everyday drivability. 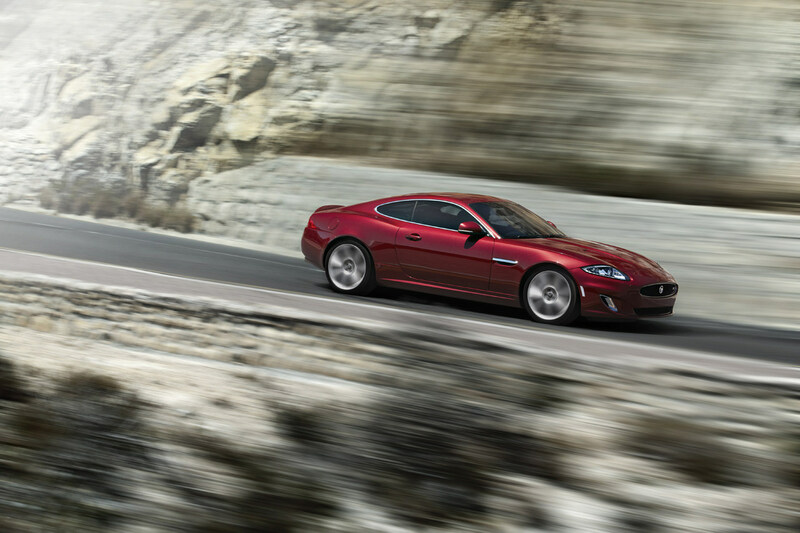 • XKR-S achieves 186mph (300km/h), 0-60mph in 4.2 seconds and emits fewer than 300g/km of CO2. • Strong, lightweight advanced aluminium body architecture to maximise performance, agility and economy. • Revised interior enhances the contemporary luxury feel of the XK’s cabin. • Performance sports seat option offers 16-way adjustability, heating, cooling and memory functions. 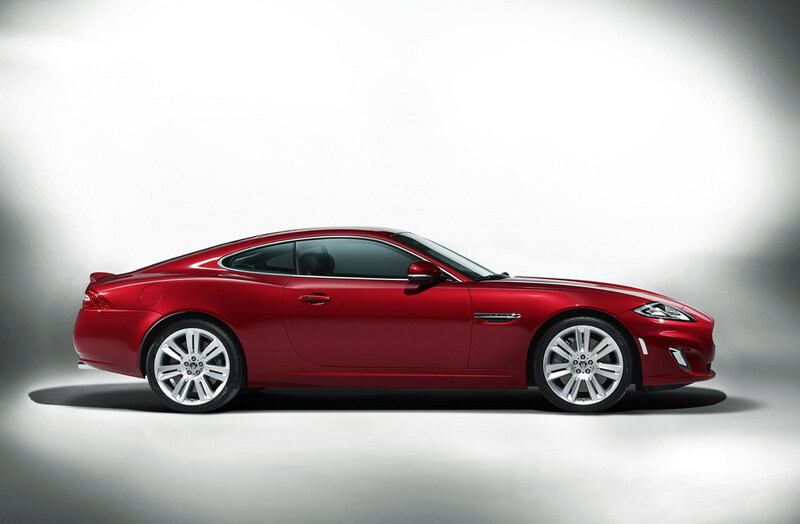 • New XKR Dynamic Pack for enhanced driving characteristics. • Expanded range of option packages allow a greater degree of personalisation. • New paint colours pay homage to Jaguar’s racing heritage. The XK was the first car created entirely under the aegis of Design Director Ian Callum. Dramatic and purposeful, yet as sensuous as only a Jaguar can be, the XK now receives a number of revisions that reinforce its contemporary, assertive character. The latest lighting technology has allowed the front headlamps to be made slimmer and at the same time incorporate LED signal functions and running lights. 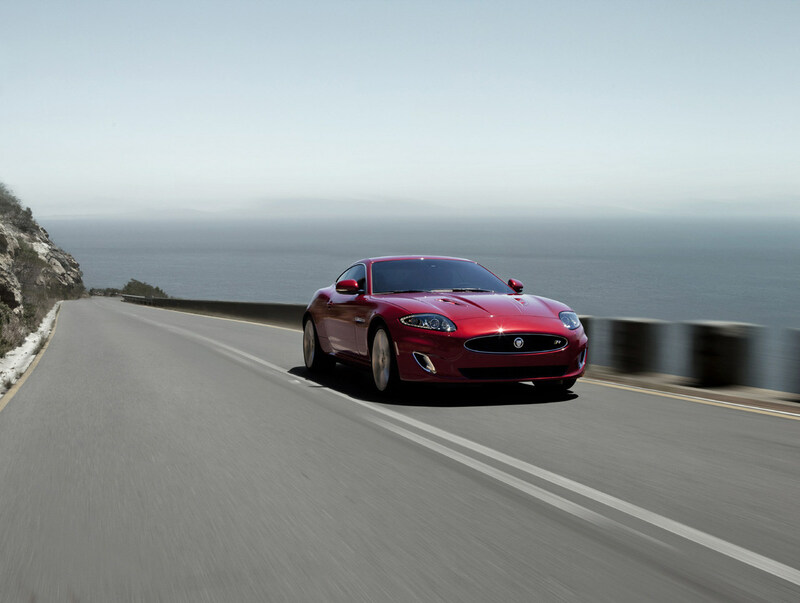 Combined with a larger grille and new bumper design, this gives the XK instant ‘rear-view mirror’ recognition. Unmistakably a Jaguar, each model in the range gains unique styling attributes that distinguish it from its siblings. Chrome mesh grilles on the XK are replaced with matt black detailing on the XKR while the flagship XKR-S receives a unique front bumper underlining its sense of purpose. The power vent along the front wing has been altered from a vertical to horizontal design with a mesh insert. 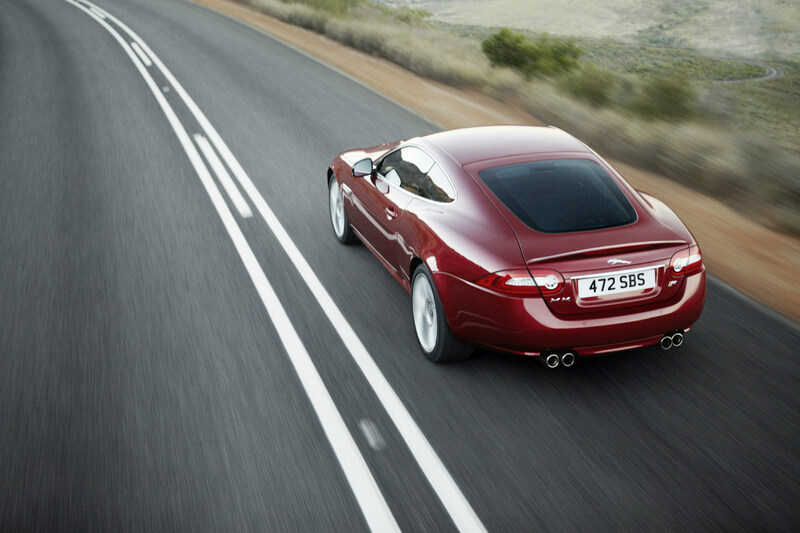 Emblazoned with the Jaguar name, it serves to emphasise the potential inherent in the XK’s design. To the rear, the boot lid has been revised with a slimmer chrome finisher which allows the car to be graced by the famous Jaguar ‘leaper’, bringing it into line with the rest of the company’s products. Complementing the design changes are 17 paint colours, five of which are new and a range of alloy wheels that now total 11 different designs ranging in size from 18 to 20 inches. A further opportunity for owners to express their individuality is available through the ‘Black Pack’, now also available as an option on the naturally aspirated cars as well as the XKR. This replaces exterior chrome with a matt black finish, complemented by 20-inch gloss black alloy wheels. On the XKR, the package also includes body coloured aerodynamic enhancements and optional side graphics. Jaguar sports cars have a reputation for blending athletic high-performance with effortless cruising comfort. Nothing exemplifies this dual character more clearly than the XK’s 5.0-litre AJ-V8 engine. Now in its third generation this offers not only tremendous power but also great efficiency by incorporating the very latest technology including spray-guided direct injection (SGDI) and dual independent variable cam timing (DIVCT). Like the car itself, the engine is constructed from high-grade, lightweight aluminium, which in the cylinder heads is recycled to reduce the environmental impact of manufacture. Available in both naturally aspirated and supercharged forms from the beginning, the engine is now offered in a third variant in the XKR-S. Based on the supercharged unit in the XKR, revised fuel mapping and an active exhaust have boosted power and torque to 550PS and 680Nm respectively, creating the most powerful Jaguar road car ever. This allows the car to reach 60mph in just 4.2 seconds and join the exclusive ‘300km/h’ club with a limited top speed of 186mph. Not only extremely powerful but also efficient, the XKR-S emits just 292g/km of CO2. All variants of the XK use the six-speed ZF automatic gearbox with steering wheel-mounted paddles to control the Jaguar Sequential Shift function for greater driver control. In the XKR-S the transmission has been revised in line with the increased power and torque to optimise upshifts and allow for the increased top speed. The XK’s exhilarating driving dynamics are the result of the latest generation of Jaguar’s Adaptive Dynamics technology that provides a continuous and seamlessly variable damping strategy to negate the traditional trade-off between ride comfort and handling. Adaptive Dynamics performs three main functions; controlling vertical body movement, roll and pitch rates. One hundred times every second, Adaptive Dynamics analyses the thousands of inputs and variables which determine ride and handling characteristics. By also monitoring wheel position 500 times every second, the system is able to achieve the famous Jaguar duality between comfort and sporting appeal. Should the driver wish to alter these characteristics, there is the option of Dynamic Mode, which increases body control, sharpens throttle response and reduces gearshift times. 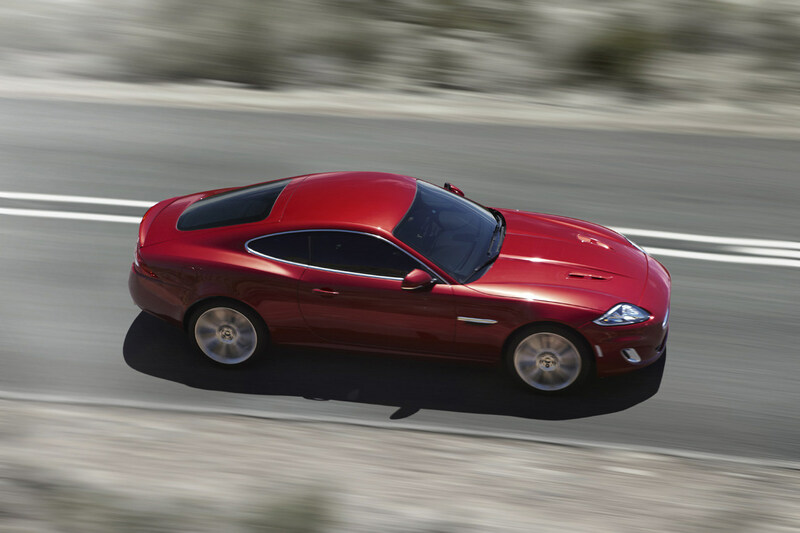 The two supercharged variants of the XK also benefit from Jaguar’s Active Differential Control technology. This uses a multiplate clutch to vector torque to the driven wheel with the most grip. Allied to the ABS and stability control, this allows for the ultimate in traction and precision both mid-corner and at its exit. Non-supercharged models use a mechanical differential, which delivers outstanding levels of grip and stability under power. All models benefit from the Dynamic Stability Control system which offers four modes: normal, Winter, TracDSC and DSC Off, allowing the enthusiastic driver to choose the level of intervention dependent on road conditions. The XKR-S model enhances both these electronic systems and the inherent stiffness of the lightweight aluminium architecture to create the most dynamic and exciting Jaguar yet. The double wishbone front suspension has been comprehensively revised with a new fully-machined steering knuckle. This significantly increases camber and castor stiffness by 0.13 degrees per kilonewton to transform the accuracy and weighting of the steering for greater levels of connection, feedback and precision. Rear suspension geometry has been revised with rear wheel steer optimised for maximum agility while spring rates have been increased at both ends of the car by 28 percent. The Active Differential has been programmed to reduce steering sensitivity at the very high speeds of which the car is capable, increasing stability and driver control. Bespoke software for Jaguar’s Adaptive Damping has been written for the XKR-S, ensuring both total body control and maximum traction and grip. Changes to the TracDSC mode alters intervention levels to allow the experienced driver to explore the outer edges of the performance envelope, rewarded by the motorsport inspired soundtrack from the exhaust, which features an active pneumatic valve. The suspension changes and Performance exhaust system are available as part of the Dynamic Pack option for the XKR model. The dual nature of the XK is apparent from the moment the driver enters the cabin. Luxurious and cocooning, the sporting potential is apparent from the moment the Start button pulses red. 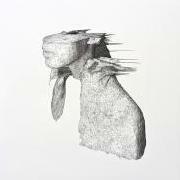 Pressing it fires the engine into life with a deep, musical reverberation and the Jaguar DriveSelector rises from the centre console as a point of first contact to begin the process of bonding man with machine. In the latest XK, the cabin has been refreshed with a host of new trim materials including ebony soft-feel paint for the switches, gloss black finish to the centre console and phosphor blue halo illumination and ambient lighting. New veneers, colour combinations and headlining options allow owners to create a cabin ambience precisely matching their requirements. A new leather-wrapped, multi-function steering wheel has also been added, providing a tactile interface between car and driver, complemented on the XKR-S by ‘Jaguar’ embossed stainless steel pedals, which are optional on other models. Standard on the XKR-S and optional on the XKR and XK Portfolio models are the new Performance front seats. Featuring integrated head restraints and increased lateral and squab support, the new seats hold driver and passenger securely and comfortably in place. The 16-way adjustment of squab, cushion, lumbar and bolster elements is supplemented by memory and heating functions. Unique to the XKR-S is a Carbon patterned and soft-grain leather interior with contrasting micro-piping and stitching. The Jet Poltrona Frau Italian leather headlining that is standard on the XKR-S is offered as an option on other models. The central seven-inch Touch-screen provides an intuitive interface for the extensive technology that is seamlessly incorporated into the XK, including iPod and USB connectivity and satellite navigation with DVD mapping. The central screen also projects the image from the new reverse parking camera. Divina è dirle poco. Davvero migliorata rispetto al passato facelift. Aggiunte le foto della XKR . 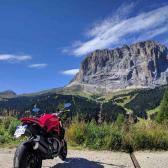 L'XK migliore di sempre senza alcun dubbio, muso e fari anteriori giusti, elegante e sportiva al contempo stesso! Grandissima scultura! L'anteriore è stato decisamente migliorato. Grande Jaguar! Classe unica! :clap:clap:clap Video di presentazione, come sempre, e come pochi altri riescono, sconvolgente! Domanda, ma quella in blu è una normale XK o una XKR? A giudicare dall'assenza di badge R direi la prima.. no?! Strano che non abbian diramato foto ufficiali per questa.